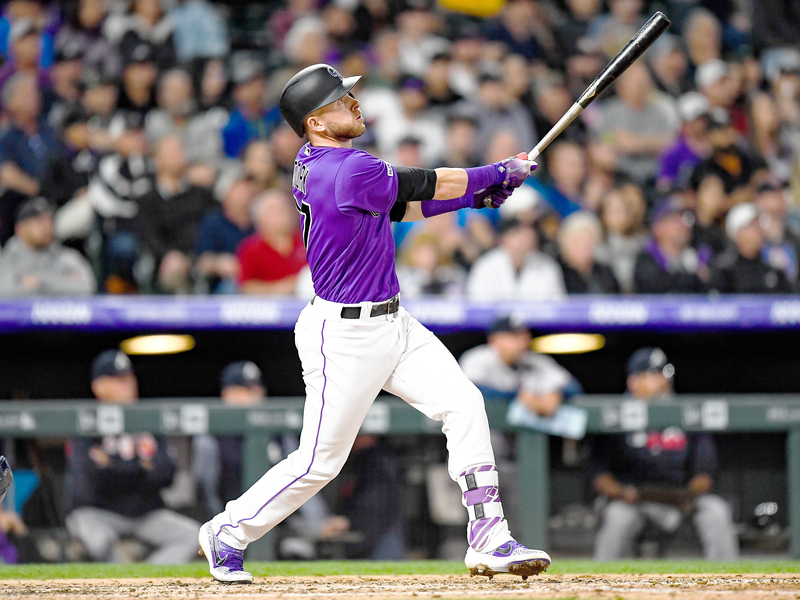 The fantasy stock is ticking up for shortstops Fernando Tatis Jr. and Paul DeJong, while Trevor Story's is starting to fall. This has been a brutal April to be a pitcher. Want proof? In standard 5x5 leagues, the following starters are all ranked outside the top-100 players: Max Scherzer, Jacob deGrom, Chris Sale, Justin Verlander, Aaron Nola, Carlos Carrasco, Noah Syndergaard, Walker Buehler, Jameson Taillon, Jack Flaherty and Stephen Strasburg. The only reason I’m stopping there is because you get the point. The list of pitchers who were comfortably inside the top 100 by average draft position and are now not among the top-100 performers does not end there, however. You won’t see any of those starters among the fallers in this week’s edition of the Stock Ticker, though Sale was in it last week. For the most part, they have earned our trust and have yet to send the alarming signs that would warrant a season-long downgrade. Like Sale last week, though, there is one pitcher who was in that group at the start of the season and not listed above who must be considered a faller after his last outing. This column isn’t a weathervane. It won’t respond to the natural vagaries of baseball that force even the likes of Mike Trout into an occasional slump. If a player appears on the Ticker, it means that we believe his rest-of-season outlook must be significantly recalibrated. This isn’t a waiver wire column. 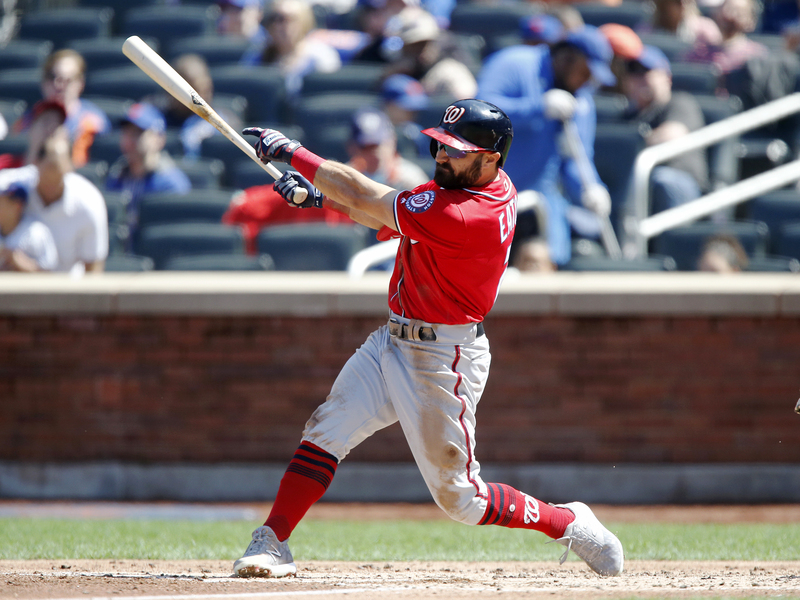 While some players with low ownership rates across the fantasy baseball landscape will appear in the Risers section from time to time, the Ticker will generally consist of players widely owned in fantasy leagues. Contreras has hit everything in sight this season, slashing .318/.445/.773 with six homers and 12 RBI in 55 plate appearances. He’s ranked fifth in weighted runs created plus, trailing only Cody Bellinger, Mike Trout, Jorge Polanco and Anthony Rendon. Contreras has put the ugly 2018 season behind him, and could lay claim to being the best offensive catcher in the league. It’s impossible to overstate how much the Pirates must regret dealing Meadows and Tyler Glasnow for Chris Archer. The former is hitting .350/.426/.700 with six homers and 17 RBI in 68 plate appearances this season. In addition to his bottom-line performance, his fantasy value has received a boost from his spot atop the Rays’ potent lineup. Kevin Cash is going to remain flexible, but it appears that Meadows will lead off mostly every day for this team. If he maintains his power, he could cruise past 100 runs. We knew Tatis was likely to become a star sooner rather than later, but even his must bullish backers have to be surprised by how his first three weeks in the majors have gone. Through 72 plate appearances, the 20-year-old is hitting .281/.347/.578 with five homers and 12 RBI. Tatis is a big part of San Diego’s strong start to the season, and is just another of the big-time prospects in recent years who have arrived in the majors ready to thrive on day one. It was no secret coming into this year that DeJong could hit. Back in his rookie season of 2017, when he was just 23 years old, he slashed .285/.325/.532 with 25 homers, 26 doubles and 65 RBI in 443 plate appearances. He was undone by injury last year, but still belted 19 homers and drove in 68 runs. Healthy once again, the 25-year-old shortstop is hitting .309/.382/.618 with four homers, seven doubles and nine RBI in 76 plate appearances. What’s more, he’s locked into the third spot in the Cardinals’ order, sandwiched between Paul Goldschmidt and Marcell Ozuna. That’s a plum spot for any hitter, and DeJong is taking full advantage. Eaton has established two things during his time in the majors: he gets hurt a lot, but he hits when he’s healthy. He has been healthy to this point of the season, and has yet to violate that second tenet of his career. The 30-year-old outfielder is hitting .308/.384/.400 with one homer, three doubles, three steals and 11 runs in 73 plate appearances. Eaton’s going to lead off every day for a Washington team that has plenty of pop throughout its lineup, even with Trea Turner on the IL. So long as he’s healthy, he’ll have the look of a top-20 outfielder. The other big piece going to the Rays in the Chris Archer trade, Glasnow is trending toward the ace potential he always had, but never reached, in Pittsburgh. Glasnow shut down the Orioles on Tuesday, allowing two runs on two hits in seven innings, striking out three and walking none. He now has a 1.13 ERA, 0.88 WHIP, 26.4% strikeout rate and 3.3% walk rate in 24 innings this season. Musgrove ended up in Pittsburgh as part of another huge trade the Pirates made with ugly early returns. This one sent Gerrit Cole to Houston, where he, like Glasnow, immediately found a new level of achievement. This one, however, hasn’t been without its successes. Musgrove came into this season as a popular breakout pick and has been great through three starts. He has a 0.81 ERA, 0.76 WHIP and 21 strikeouts against four walks in 22 1/3 innings. Musgrove does not have limitless strikeout upside, but he doesn't walk anyone and is a good bet to fan about a batter per inning. After spending last year as a dominant, multi-inning reliever, McHugh jumped back into Houston’s rotation this season. The Astros haven't missed Charlie Morton a bit, and that's no knock on Morton but rather a celebration of what McHugh has done in his return to the rotation. He was excellent against the A's on Tuesday, tossing six shutout innings while allowing just two hits and two walks, striking out five. McHugh has pitched to a 1.96 ERA and 0.83 WHIP with 27 strikeouts and seven walks in 23 frames this year. Yeah, I’m ready to take the loss on this one already. I faded Corbin all draft season, fearing the spike in strikeout rate that drove his fantasy value last year was anomalous based on its reliance on a slider that was largely the same pitch it had been his whole career. Instead, Corbin has picked up right where he left off, striking out 31.6% of the batters he has faced thus far this season. The slider whiff rate is down in the early going, but still at a very impressive 24.8%. It appears that Corbin’s strikeout upside, newfound last year, is for real. This isn’t merely about the fact that Ramirez is hitting .154/.211/.246 with just one homer and four extra-base hits in 71 plate appearances this season. This goes back to last year, his second straight season finishing third in AL MVP voting. Yes, the season-long numbers were stellar, but he hit just .218/.366/.427 in the second half. This isn’t just a three-week slump for Ramirez. Add it to what he did after the All-Star break last year, and we’re looking at more than three months of subpar production. Pollock is off to a rough start in his first year with the Dodgers, hitting .239/.291/.324 with one homer, four extra-base hits and 11 RBI in 79 plate appearances. He has attempted just one stolen base and was caught, and that’s a major concern for his rest-of-season value. Pollock burst into the fantasy consciousness as a premier power-speed player, and while injuries have limited his overall output over the last three years, his per-game production was never an issue. That may be changing in his age-31 season. If he’s no longer a stolen-base threat, his fantasy value dips considerably. I have no doubt that Story will get going sooner rather than later. The big issue, though, is that he’s not someone the fantasy community counts on for anything other than power, and the first three weeks of this season have strongly suggested that power is back in a big way across the entire league. If Story’s power doesn’t set him as apart from his peers as it did last season, it’s going to be hard for him to make good on his price tag back in draft season. His strikeout rate is up a bit from last year to 26.0%. Kluber got lit up by the Royals on Sunday, allowing six runs on six hits and five walks in 2 2/3 innings. His strikeout rate this season is down to 22.6%, a level we haven’t seen from him since 2013, the year before he won his first Cy Young. The velocity on all his pitches is down for the third straight year, and is even more suggestive of him hitting the downslope of his career. He still has plenty of great innings in his arm, but his days as a fantasy ace may be in the rear-view mirror.